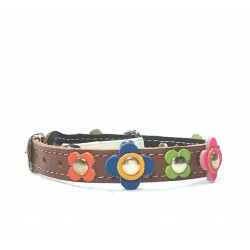 The Most Original Leather Safety Cat Collars (3) - Superpipapo: In Style with Your Pet! 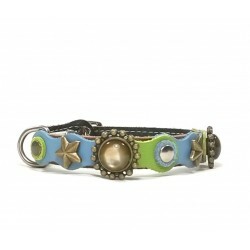 This original fashionable cat collar has beautiful blue and green pastel colored leather patches, golden stars and Polaris stones. An elegant but also happy design! 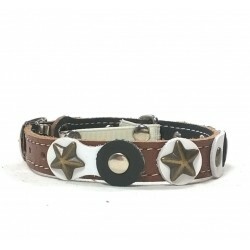 A Simple Design Leather Cat Collar with beautiful natural colored riveted leather patches. Simple but Feline! 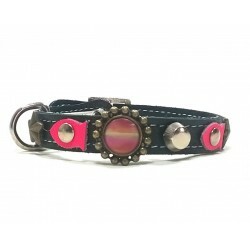 A beautiful leather cat collar with beautiful unique leather Yellow Cat Eyes! 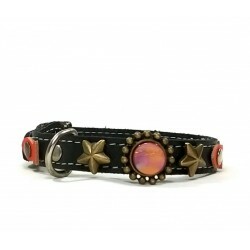 Cats like goldfish: that is why we made this unusual cat collar design with studded leather goldfish and a nice Polaris stone. 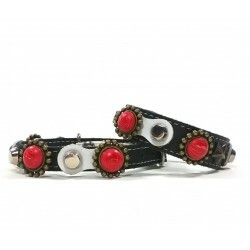 Therefore this Beautiful and Luxury Cat Collar Design with Beautiful Red Heart Leather Patches: Simply at heart! Cats like goldfish, but also purple fish? This Fancy Cat Collar Design looks at least good! 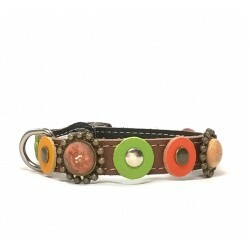 This leather cat collar is simple but colored and imaginative design with beautiful Heart Charm. 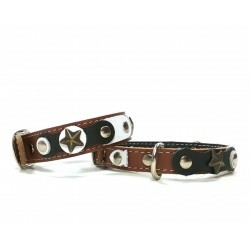 Red White Blue Exclusive Black Leather Cat Collar with silver shiny Studs. 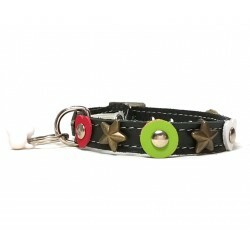 This Exclusive leather cat collar in red, white and blue colors is not just for Dutch cats. It is simply very original for almost all! 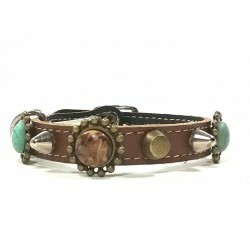 An unusual Vintage Retro leather collar for cats for cats with Their own style! 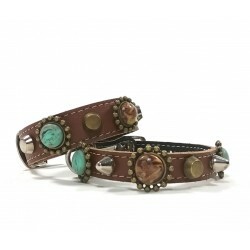 Unusual and Exclusive Vintage Retro Style Leather Collar for Cats. 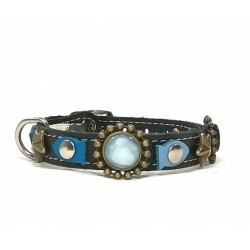 An unusual Vintage Retro leather collar for cats for cats with Their own style! 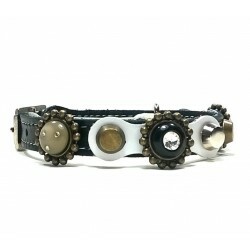 This cat collar has a sturdy look caused by its beautiful black and white leather patches. The stars break style and make it also very playful.